Looking for a hog roast in London then look no further. 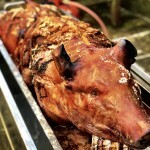 We provide the best hog roast catering in London and have been doing so for over twenty years. We use only the best free range pigs reared on our own farm, Barkham Manor in Berkshire. 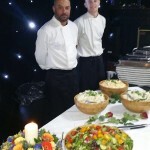 Whatever the occasion we can provide the catering to suit your every need. 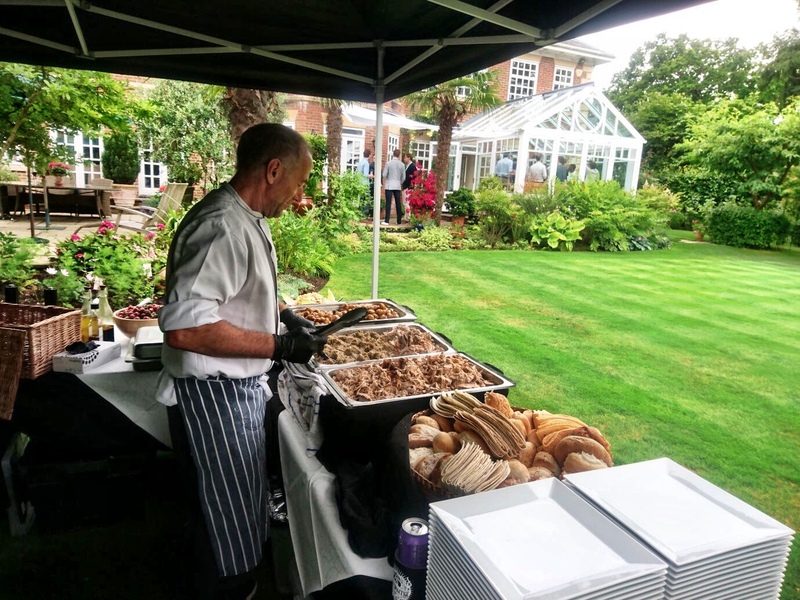 Everything from a simple hog roast London garden party to the full management of a large corporate event or a very special wedding. We offer slow-cooked pulled pork or sizzling spit roasts whichever takes your fancy. 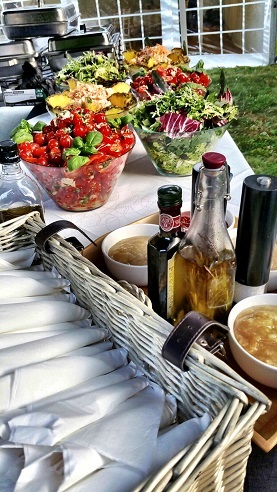 Our fresh and exciting approach to catering is perfect for the city of London’s business meetings or a hog roast Uxbridge garden party and is a great alternative to more traditional forms of catering. One of our major selling points is the way we cook our hog roasts slowly over flames to produce really crispy crackling and juicy tasty pork. It doesn’t matter whether we are providing food for the Notting Hill Carnival or a garden party at the Palace, a spit roast is perfect for all occasions. Our high-quality machines cook any type of meat to perfection and provide a modern and mouthwatering centrepiece for any event. Our spit roast machines are the best available on the market today and can be operated by you or one of our professionally trained hog roast chefs, either way, the end product will be the same; delicious melt in the mouth meat. Along with offering delicious hog roasts we also offer a variety of side dishes that are just as good as the meat we cook. These side dishes are available from a variety of menus and are freshly prepared by our chefs on the day of your event, just like the roast. We offer a selection of menus suitable for all occasion but if you feel like there is something you would like to add or remove from the menu you have chosen then please feel free to make any suggestions. We are more than happy to customise any of our menus to meet your specific needs. The best thing about hog roast catering is that it really is suitable for all formalities. From business meetings at Canary Wharf to Take That concerts at The 02 hog roast catering is ideal. It can be dressed up or down. If you want to impress people then a full sit down hog roast meal is perfect. It can be your meat of choice accompanied by seasonal vegetables served as part of a three-course meal. Or if you are looking for a quick bite to eat when you’re on the move then a simple but tasty hog roast and apple sauce sandwich is perfect. This kind of simple food is a modern, healthy and more substantial alternative to traditional fast food available on the market today. What could be better than the finest meat prepared and cooked freshly for you to enjoy? Please take time to explore our website and hopefully, we will hear from you soon. Welcome to Spitting Pig London, we are the capital’s finest hog roast catering company specialising in producing the UK most succulent pig roasts using the most advanced equipment available on the market today. We are part of the most experienced hog roast company in the UK and quality can be seen and tasted time and time again at the hundreds of events we cater for each and every year. Whether you a planning an upcoming birthday, looking for catering for a large scale corporate event or maybe even planning you and your new partners special day, Hog Roast London can cater to any numbers and any special request. Our passion is in great British food and each and every one of our menus celebrates the best that our fair nation has to offer, from soft and succulent British pork to the most tender and tasty beef we consider ourselves experts in the art of creating traditional British dishes. 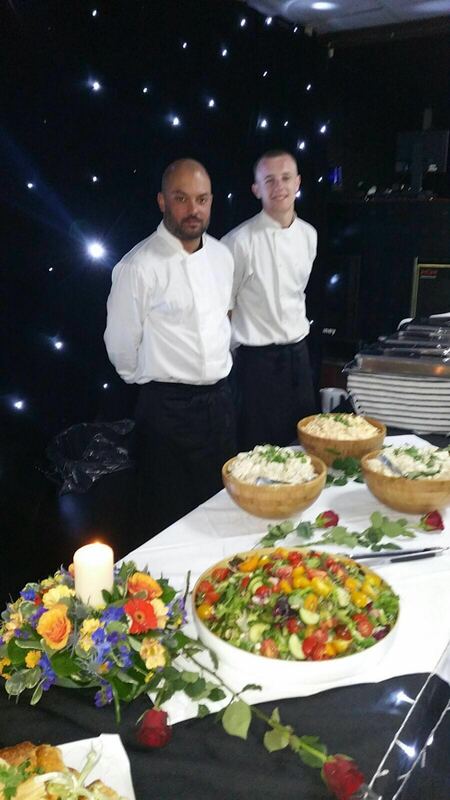 A hog roast adds something different to an event and gives a sense of theatre that isn’t possible with other catering firms. At Hog Roast London all our chefs are fully qualified and trained to expert standard in the art of hog and spit roasting we arrive onsite on the day of the event and everything is prepared fresh on site whilst your choice of meat slowly rotates as a fantastic centrepiece for all your guest to marvel at. We take all the hassle and worry out of an event and allow you to enjoy the experience. We are very flexible on the day and can cater for any time alterations or changes in the running the event. We serve all of your guests in a quick and professional manner ensuring each and every one of them gets the special treatment that we insist on providing at every event we attend. After the event, we tidy everything away and leave the site discretely allowing you to sit back and enjoy the rest of the event. 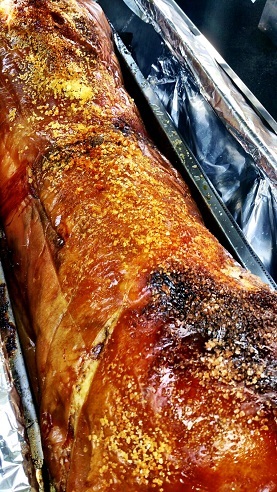 So whether its a barbecue in Bromley, a wedding in Chelsea or a full 3-course meal for a company in the heart of the city, then Hog Roast London will make your event extra special. So please feel free to take a look at our exciting menus and please don’t hesitate to contact us. The catering for your next event is just a phone call away. At Hog Roast Chelsea we aim to use our Hog Roast London knowledge, ingredients & quality staff to make sure your event is a memorable success. 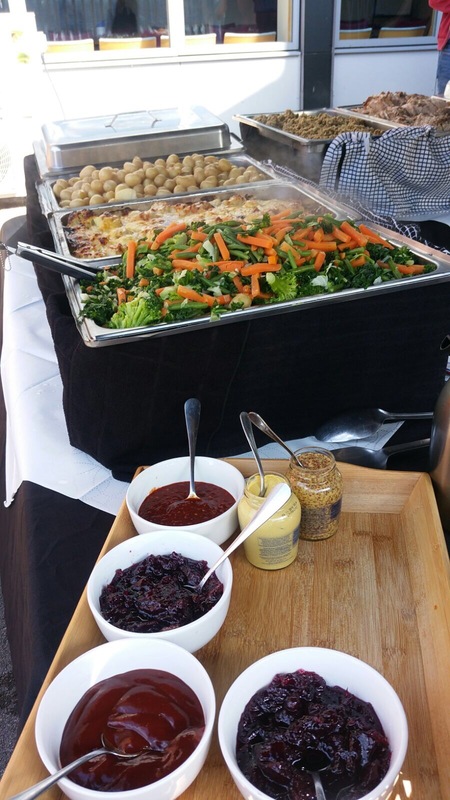 We have many years experience catering for all types of functions from 20 people to 1500 people and it is this knowledge that we draw on to make sure each hog roast Staines event runs like clockwork and the guests leave full and content. Looking around on your special event you should see your guest’s faces light up in wonder and excitement as they watch the spit roast being cooked, with the wonderful aroma of the hog filling the hog roast London air, whetting everyone’s appetite and awakening their hungry taste buds. You should hear the sound of Satisfaction, joy and laughter as your friends and family taste the wonderful feast and marvel at the unique quality and special taste that they have not been lucky enough to experience before. 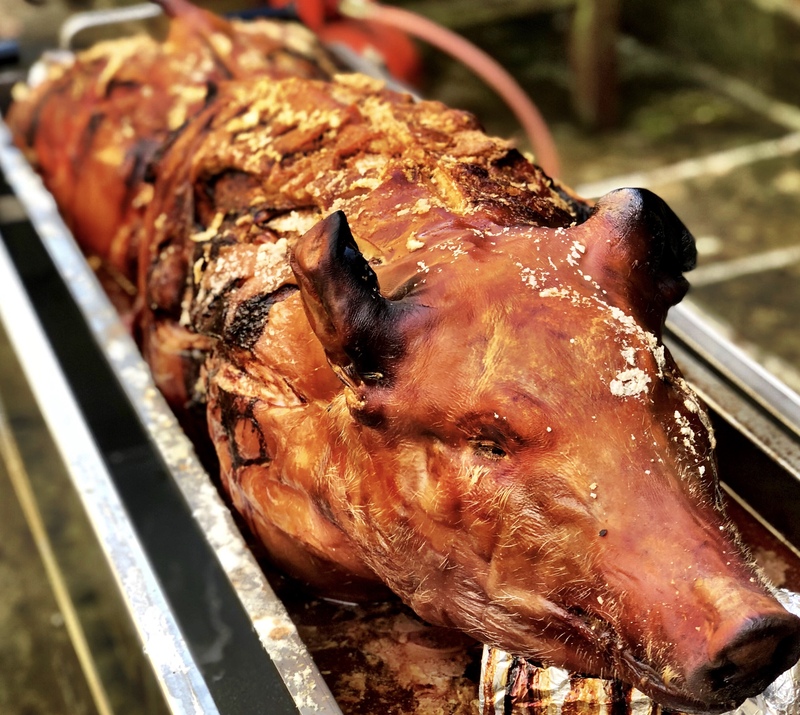 Watch as the hog roast Sutton team finish preparing, carving and serving they will begin to clear away with a content satisfied feeling that once again they have done what they do best; provided an unbeatable feast which everyone will always remember. And finally, as you look around your party you will feel ecstatic that your Hog Roast Camden event was such an amazing success. By choosing to have hog roasted food option for your event you are getting the best of both worlds. It is an extremely tasty way to cook meat, by allowing the meat to cook slowly it becomes very tender, the meat is constantly basted with its own juices allowing the flavour & moisture to penetrate throughout the animal. A pig will take about 5-6 hours to cook and lamb about 4-5 hours so we like to arrive on site about 8 hours beforehand. Spit Roasted food is also a very economical way of catering for groups of guests and when combined with our salad and vegetable options you will understand the reason why so many people are discovering this cooking technique. We use our own custom-made Hog Roast Machines, these are manufactured near Clapham and are the industry leader in terms of design. The Hog Roast London machines we use for our catered events are stainless steel and on 4 wheels allowing for versatility in site location and an eye-catching material when placed on show. A glass viewing panel allows guests to view the meat slowly rotating and when coupled with the mouthwatering aroma this always brings in the crowds and gets the appetites going. Once you have received your quote or indicated you would like some more information we like to give you a call and take you through your menu options, any special requests such as vegetarians can be catered for and we like to talk through the minor details such as parking, access etc that although often forgotten by people can make all the difference to the smooth running of your event. Our team will arrive at your event make contact with the host and then if everything is fine can be left alone to take care of your catering whilst you get ready for your special day. Our chefs wear crisp white chef’s jackets and black chef’s trousers, with all service utensils and equipment being of the highest standard. Spitting Pig London gets a huge amount of repeat business and this is due to our attention to detail and the quality of our product & staff. We are the premier spit roasting company around the UK and we want to stay that way, which is why you can have the confidence in us to make sure the event goes perfectly.